We are a home systems integration company that specializes in the area of home automation. We are capable of designing audio/video systems of any size and can provide a total home control solution that fits any residential or commercial need. Sales and installation of the latest home theater electronics and outdoor audio systems. At Hometronics Lifestyles, we design and install custom home systems. We emphasize custom because everyone is different. Our professionals will help you understand the different technologies available and which ones will best fit you and your family now and in the future. Hometronics Lifestyles can add control, convenience, and luxury to your lifestyle. Historic Central Park high-rise residences. 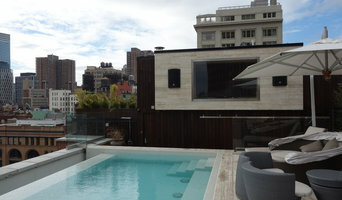 Prestigious Tribeca condominiums. Legendary Upper East Side brownstones. Elevated Integration is the chosen technology architect and contractor for New York, Los Angeles, and Miami’s most important projects. With years of experience in advanced electronic technology, Elevated Technology develops solutions that uplift your time at home, and give you remote access to your home systems when you are away. From ultimate quality sound to striking high-definition movies, from energy savings to total home control from your smartphone or tablet, our lighting, shade, climate, access and entertainment systems provide for a lifetime of enjoyment and security. Elevated Integration is the Preferred Electronics Contractor for many of America’s most prestigious developments, with early access to buildings prior to owner-occupancy, allowing for a fully secured and functioning residence at move-in. We specialize in top shelf technology solutions for your home. We deliver reliable and consistent controls for lighting, audio, video, climate, and wifi systems. 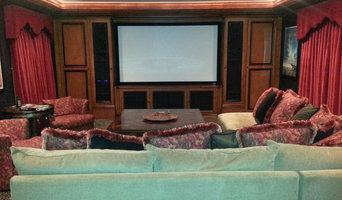 We design and construct performance home theaters. 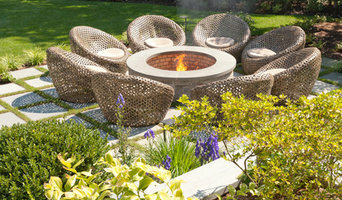 Our outdoor entertainment systems are some of our customers favorite areas. iQuarters was founded from an international database design and network administration company. We’ve always loved the idea of home automation but found that it presented technical issues that consumers would find difficult to resolve. We saw the opportunity to integrate our 20 years of experience in designing user-friendly IT networks around the globe with the revolutionary home automation market. That’s why we are the smarter choice. Home Automation is a relatively new technology that is not just installed. It’s much more than that. Our experience in networking and programming gives you a system that is safer from hacking and glitches. In the years that we have been doing Home Automation we have worked directly with designers, contractors, construction companies and home owners over a variety of multimillion dollar projects. No matter what size, small or large, brand new or a historic building, we have the experience for your project. iQuarters brings the ingenious design of Savant products and the experience of quality networking right to your very home. iQuarters will engineer and implement systems designed to address your individual needs and desires. With our years of experience in construction and computer technologies, we have the ability to meet your requirements. Let us show you! Home media specialists not only can design the seating and decor for your dream home theater, but most of them can help you find specific media control options, conceal your television and various accessories, set up optimal seating, choose and install ideal lighting, and help create the ultimate viewing environment. Some of these Connecticut professionals work entirely on their own, while others work with subcontractors to get the job done. Here are some related professionals and vendors to complement the work of home automation & home media: General Contractors, Interior Designers & Decorators, Paint & Wall Covering Dealers, Furniture & Accessories, Specialty Contractors. Find a home media designer on Houzz. Narrow your search in the Professionals section of the website to Gaylordsville, CT home media designers. You can also look through Gaylordsville, CT photos by style to find a room you like, then contact the professional who designed it.